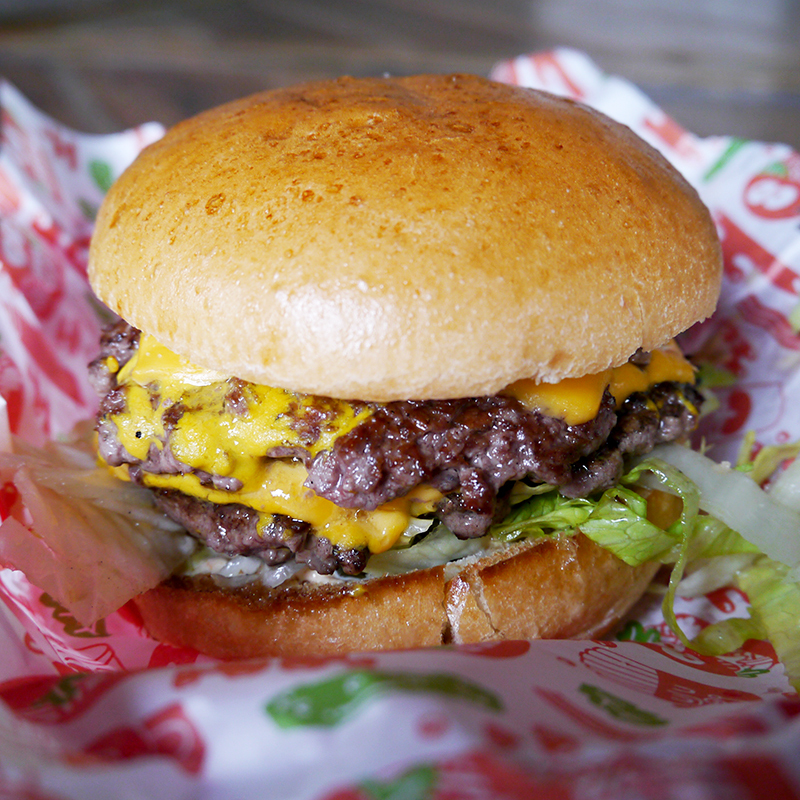 Every Saturday at Burgershack you'll find us offering 20% off all burgers and main dishes; meal deals for kids; and a chance to taste forthcoming off-menu specials. Plus we'll be spinning laid back beats on the ones and twos through our vintage analogue sound system. Come down for burgers, beers and good vibrations! Inspired by pigs-in-blankets and our mate Roger's family recipe for "pap" (a kind of extra-Christmassy, clove-infused bread sauce), we've built a double-patty, brioche-housed burger featuring a 3oz turkey thigh patty plus a similarly sized pork, sage & onion patty. These two slabs of meaty magic are complimented by smoked streaky bacon, the afore-mentioned best-bread-sauce-ever, cranberry & port ketchup, crispy fried onions and a leaf of gem lettuce. And yes, OF COURSE, we're serving it with Turkey gravy to French dip it in. Merry Christmas! This was actually the very first special we worked on but getting the pickles just right AND finding the perfect bun for it were crucial parts of the development process that simply couldn't be rushed... Featuring two 3oz patties housed in a double sliced, super-soft, sesame seeded demi brioche bun, Big Shack comes with American cheese, pickles, iceberg lettuce, Big Shack sauce and an almighty dollop of joyous burger nostalgia. Yum! Resident selectors Leo Walton and Barny Read of Amateurism will be joined by special guest Ray Gibbons. Since we’ve been working with Nick Vadasz of Vadasz Deli we’ve been excited about a whole heap of his pickles and relishes that, for the most part, we're still working out how best to incorporate into burger (and hot dog) awesomeness. But seeing as we launched a Red Hot Dog last week that made good use of his “Helluva-peno” jalepeno pickle relish, we wondered how the same relish would spice up a cheeseburger. Turns out, it’s a match made in heaven. We've paired it with our homemade hot chilli sauce for extra heat. SPICY! Resident selectors Gav (Burgerac) and Gilbey will be joined by special guest Roger Kelly (Crispin Finn) to spin records for your listening pleasure. Good vibrations, y'all! Resident selectors Gav (Burgerac) and Barny (The Peanut Vendor) will be spinning records for your listening pleasure. Good vibrations, y'all! Ever since we started getting beautiful all-beef oak-smoked frankfurters from Abiye at Big Apple Hot Dogs, we’ve been super excited about developing ideas for off-menu Hot Dog specials. Then, when Abiye introduced us Nick at Vadasz Deli (who now supplies us with the most awesome sauerkraut and relish), we knew we could have some real fun in the Hot Dog department. First up is the RED HOT! dog (shown top), which makes good use of Nick Vadasz' mind-blowingly delicious “Heluvapino” chilli relish, and pairs it with a wickedly spicy horseradish mustard that perfectly compliments our juicy beef dog. Served in a sweet brioche roll. Order this and you'll get an all-beef frank smothered in our slow-braised beef chilli and sprinkled with oak-smoked West Country cheddar. This is guaranteed to warm your cockles and raise your spirits. There is, of course, every chance that it might also slow down your productivity. Hubba Hubba consists of two mustard fried 3oz aged beef patties, American cheese, pickles, chipotle burger sauce and iceberg lettuce in a soft white glazed bun. By splitting our signature 6oz aged beef patty into two 3oz patties, the burger surface area is doubled so you get twice the exterior caramelisation – which means extra flavour. Hubba Hubba is the ultimate turbo-charged cheeseburger. Resident selectors Leo Walton and Rob Leggat of Amateurism, with Seb Marling as special guest. Specially for bonfire week, we're bringing back our sweet and smoky off-menu special, Smokestack. It features a 6oz beef patty, oak-smoked cheddar, smoked pancetta, chipotle burger sauce, crispy fried onions and BBQ sauce. The Big Kahuna burger builds (literally) on the sweet and smoky awesomeness of our most popular special, Smokestack. It features a 6oz beef patty, oak-smoked cheddar, smoked pancetta, chipotle burger sauce, a pile of pulled pork, slice of griddled pineapple, crispy fried onions, and BBQ sauce. BOOM!